I’m not very good with live plants. I keep killing them lately. So, I surround myself with whatever beautiful artificial ones I can find. They never die and they give me much pleasure. 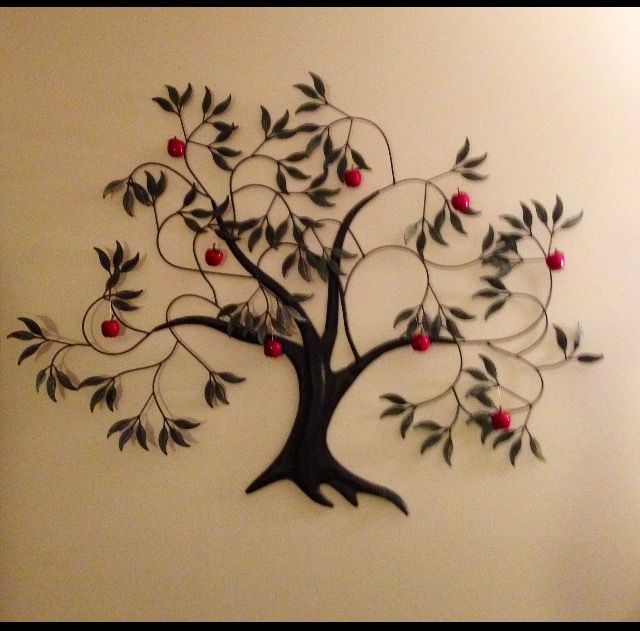 Like my tree….a metal tree, amongst other artificial “plants” in my possession. It hangs on the living room wall, well able to be decorated seasonally, as you can see in the picture below. It suits the red apples it wears in this photo. This Christmas it had little clusters of Christmas bells of silver, burgandy and red. I hope to decorate it differently for a variety of times and seasons. 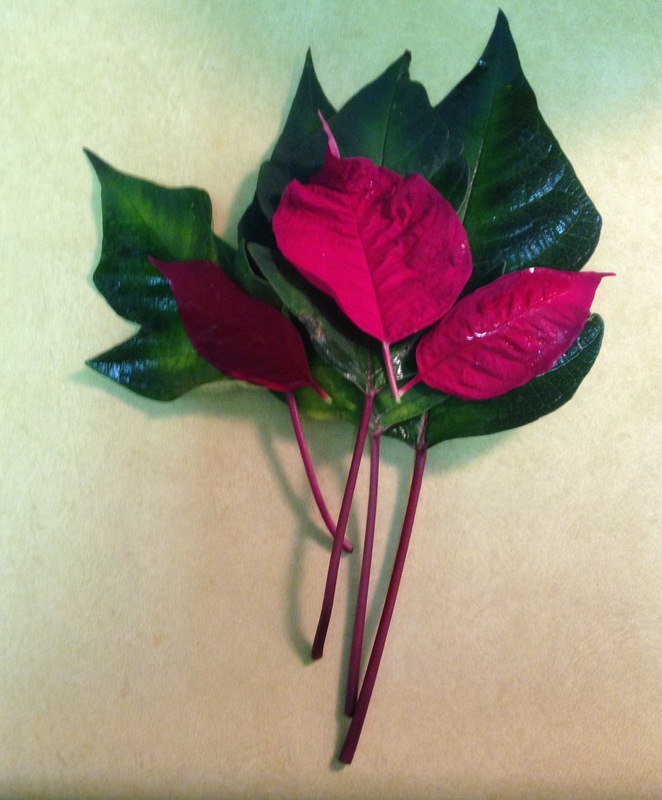 My dear neighbour and friend, George, insisted (despite my many protests to the contrary) on buying me a poinsettia when I took him grocery shopping one day before Christmas. It was a lovely thought, but I was a bit dubious, knowing myself. He carefully reminded me not to over water. It was doing well and looked nice for a while. So far, so good. Proud of me. Some of it made it onto the kitchen counter and that’s where I found these ones. I had to take a pic, in order to somehow redeem the damage I had done to the beautiful foliage. If I could take a decent picture, I would not feel so bad about just discarding everything. Life and death. There is beauty in both, should one care to look. That’s the way I see it…..
There’s definitely a place for artificial plants in our home. 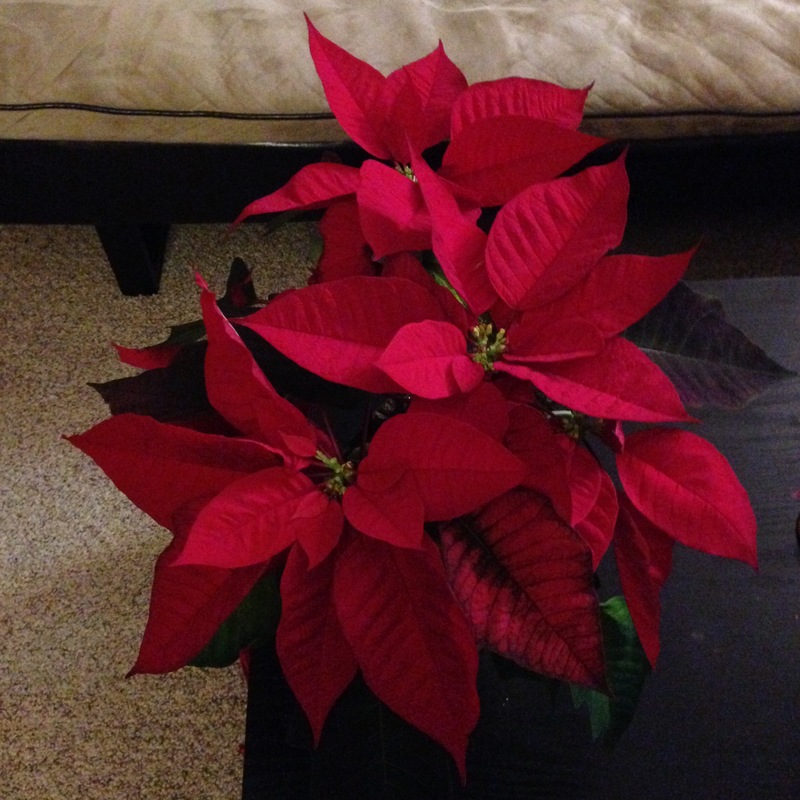 I have always thought of Christmas poinsettias as a disposable item, like a bouquet of flowers. They don’t last, except in the right environment. So don’t feel bad at all. I want me a metal tree. 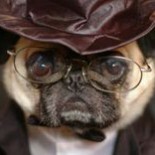 I’m exactly like you…I am better with the plastic…would be excellent with the metal. :-). Sorry about the death. I hope you find a nice tree for yourself 🙂 That plant actually resurrected, and I gave it back into George’s care. He was going to put it away for next year, he said. This entry was posted on January 15, 2016 by annj49 in Blog, My Thoughts.... and tagged artificial plants, beauty in life and death, decor, plants.